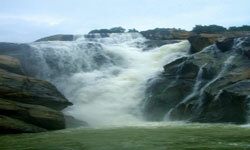 Kanke Dam is a lake situated at the base of the Gonda Hills and id around 5 km from Ranchi town. The serenity of the air and the uncommon scenic charm makes it an ideal place for nature lovers and group picnickers. Kanke Dam is always crowded with tourists. 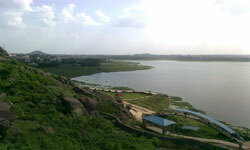 The Rock Garden situated nearby is another spot worth visiting. 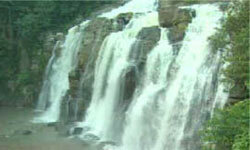 About 80 kms from Ranchi in the southern direction Hirni is another fascinating waterfall in charming surroundings. From the car park, a walkway to the left takes you to the other side of the river to a tourist hut whereas steps to the right lead up to the top of hill. From an observation tower at the top you can see the mighty fall and the jungles that lie beyond. A little further up there's bridge spanning the river and a shed. Named after the nearest village, Jonha is also known as Gautam Dhara as Lord Buddha is believed to have bathed here. A temple and ashram dedicated to Buddha wad built atop GautamPahar by the sons of Raja Baldevdas Birla. A sign clearly proclaims that the ashram was originally meant for people of the Hindu faith as well as all branches of arya dharma. Lacals also call Jonha the Gunga Nala because the stream apparently comes from Ganga Ghat. 453 steps take you down to the waterfall and to the farflung villages of Konardih and Duarsini on the other side of the stream. 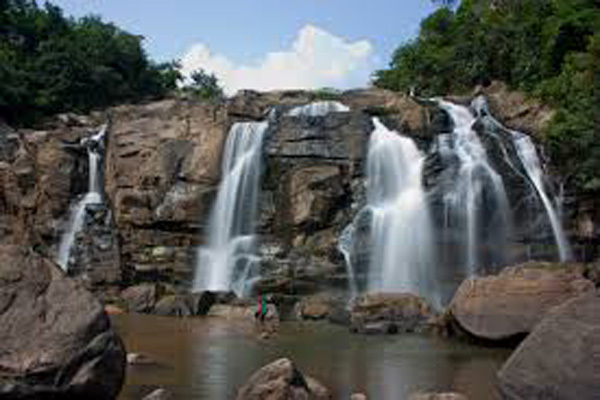 About 40 km away from Ranchi on Tata Road falls village named Taimara near which flows the Kanchi river.Falling from a height of about 144 feet kanchi river makes a pretty fall called Dassam falls encircled with charming scenes.It is also known as Dassam Ghagh.The tourists are warned not to take bath in the falls or at least be careful while bathing in the stream. This fall has created the Dasham falls, which is bordered with verdant Landscapes. The time between February and April is considered as ideal period to visit the place.